Please inform Vacation home Dvorine in advance of your expected arrival time. You can use the Special Requests box when booking, or contact the property directly with the contact details provided in your confirmation. 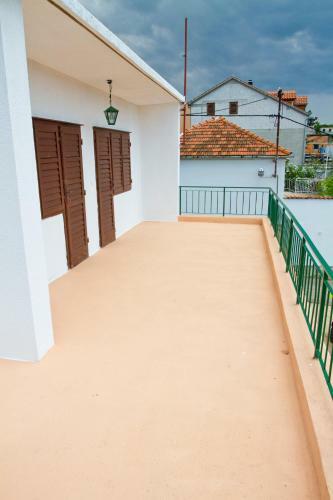 Villa Dvorine ~0.1 km, Tisno price per day from € 50 Please inform Vacation home Dvorine in advance of your expected arrival time. You can use the Special Requests box when booking, or contact the property directly with the contact details provided in your confirmation. 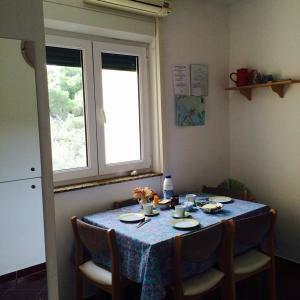 Apartments Mais Tisno ~0,1 km, Jezera price per day from € 35 Apartments M. A. I. S. is positioned 100 metres from the sea in Tisno opposite the island of Murter, which is linked to the mainland by a bridge. On Murter there are many fishing small towns, which make it possible to sample freshly caught fish at the various eating places in Tisno and on the island. In the proximity of Apartments M. A. I. S. you can explore the UNESCO-protected St. James Basilica in Sibenik. During summer, there are entertaining and cultural festivities taking place. You can enjoy exceptional music, dancing and culinary thrills. Murter presents quiet sandy or stone beaches and there are many playgrounds for youngsters. 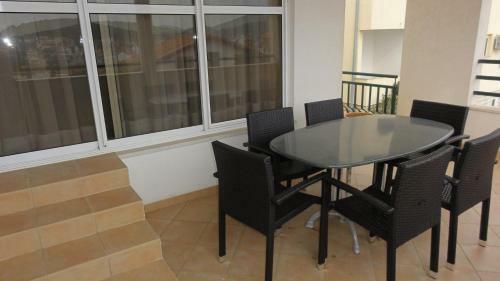 Apartment Tisno ~0,1 km, Tisno Situated 48 km from Zadar, Apartment Tisno presents accommodation in Tisno. The air-cooled unit is 21 km from Šibenik. Free car parking is available on site. 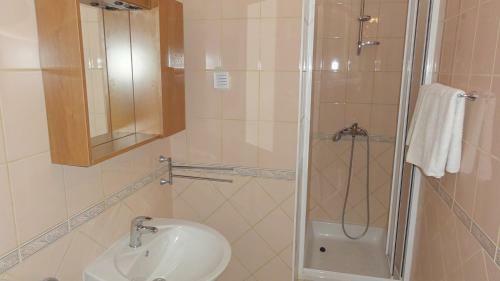 The kitchen has an oven and there is a private toilet with free toiletries and a hair dryer. A TV, as well as a CD player are available. 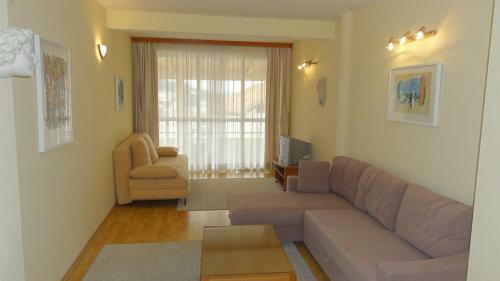 Vodice is 11 km from Apartment Tisno, while Biograd na Moru is 22 km from the property. Zadar Flight terminal is 40 kilometers away. Jezera ( ~ 0.5 km ): 175+ apartments. Murter ( ~ 3.4 km ): 54+ apartments. Betina ( ~ 5.3 km ): 102+ apartments. Beach Jazine, Tisno ~ 1 km from Villa Dvorine Gravel beach: ideal for families, recommended for young people, with restaurant, with caffe bar, equipped with showers. Excellent choice of watersports. Beach Sv. 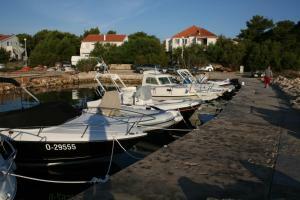 Andrija, Tisno ~ 1,1 km from Villa Dvorine Rocky beach. Nudism is allowed. Beach Lovisca, Jezera ~ 1,9 km from Villa Dvorine Gravel beach: ideal for families, recommended for young people, with restaurant, with caffe bar, equipped with showers. Excellent choice of watersports. Beach Miran, Pirovac ~ 2,2 km from Villa Dvorine Gravel beach: ideal for families, with restaurant, with caffe bar, equipped with showers. Excellent choice of watersports. 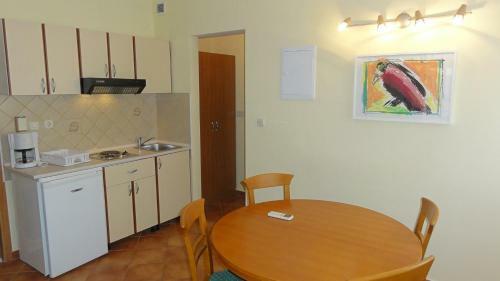 Beach Lolic, Pirovac ~ 2,2 km from Villa Dvorine Gravel beach: ideal for families, recommended for young people, awarded with blue flag, with restaurant, with caffe bar, equipped with showers. Excellent choice of watersports.